Ciri, the witcher girl, Princess of Cintra, and Child of the Elder Blood escaped from her pursuers through a portal in Tor Zireal, the Tower of the Swallow. Rather than finding freedom on the other side, Ciri found herself imprisoned in the world of the elves who wished to use her powers for their own gain. To escape the horrors that await her, Ciri delves deep within herself to discover her true power: the power to travel through space and time. With so many ill intentions pursuing her, Ciri must travel across different worlds to reunite with the ones she longs to see most: Geralt and Yennefer. After nearly ten years of translating four books and two short story collections, the final installment to writer Andrzej Sapkowski’s popular Witcher series has finally arrived in the States and it was well worth the wait. Geralt is closer than ever to finding Ciri, the ongoing war between the North and the South prepares to fight the deciding battle, and Ciri is discovering the powers she has always been told she possesses. 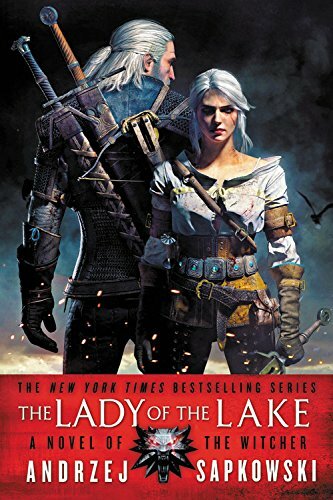 While the previous books were most certainly Sapkowski at his finest, The Lady of the Lake was Sapkowski at his absolute best, completing his series in a near-perfect way. 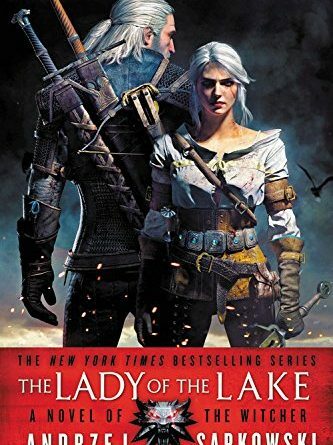 Readers will get so much more out of The Lady of the Lake if they reread the entire series first for Sapkowski pulled out all the stops for the final installment. If readers have kept up with the, at times, confusing pages of politics of this fantasy world, the deciding battle is finally fought between the North and the South. Battles and wars are a norm in the fantasy genre and these scenes can be rather tricky to write effectively; however, Sapkowski wrote his deciding battle, the Battle of Brenna, in a very intriguing way. Rather than just focusing on the fighting, Sapkowski jumps between many different points of view, having readers witness the battle as a soldier, as a medic, and as an onlooker. While politics have played a crucial role in the Witcher series, The Lady of the Lake has a minimal focus on it and more of a focus on the characters. Nearly every character that has been introduced in the previous six books makes an appearance, with some playing larger roles while others make a small cameo. As for the major characters, all receive an equal amount of attention; however, for the readers who have eagerly awaited this conclusion, the fate of three characters is what they may be most curious about. Witcher Geralt of Rivia and sorceress Yennefer of Vengerberg have traversed half the world, desperately searching for the one who they see as their own daughter and readers are anxious to know if the three most deserving of a happy ending finally get one. While readers will spend a good amount of time with Geralt and his companions as well as with Yennefer in her imprisonment by the powerful sorcerer Vilgefortz, readers will learn more about Ciri than ever before. Readers will learn the reasons why so many want her power and will follow Ciri as she discovers the true power that lies within her. The Lady of the Lake is a story one will want to complete, but at the same time, a story one will not want to have end. For readers who have followed the series since The Last Wish, it is strongly encouraged they experience its finale for themselves. All one who has read it can really say without spoiling major plot points is that Sapkowski concluded his well-received fantasy series in a near-perfect way. His masterful storytelling is the strongest it has ever been with countless twists and turns in the plot to keep readers turning the page. One can look forward to a final collection of short stories of Geralt’s adventures in Season of Storms next year, but as the curtain finally falls on the Witcher series, one can truly say… it was well worth the wait.